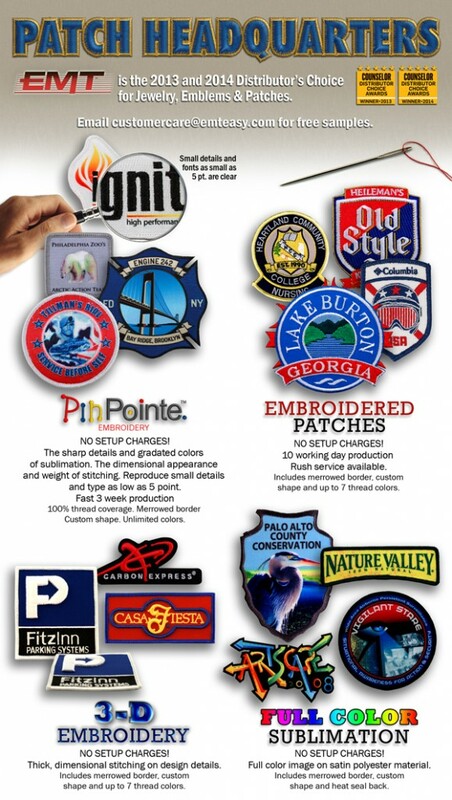 Capture 5 point font with EMT’s PinPointe Patches! 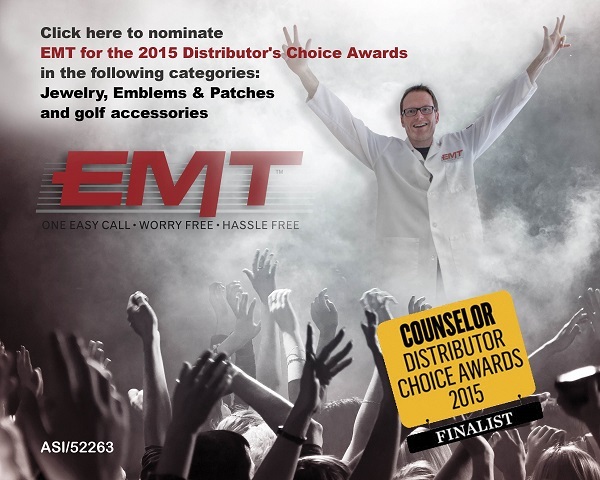 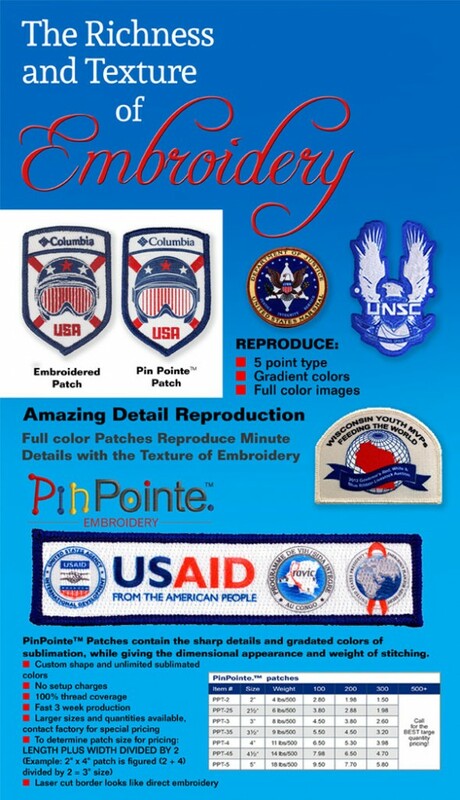 EMT Won Counselor Magazine’s Distributor’s Choice Award in Jewelry, Emblems & Patches! 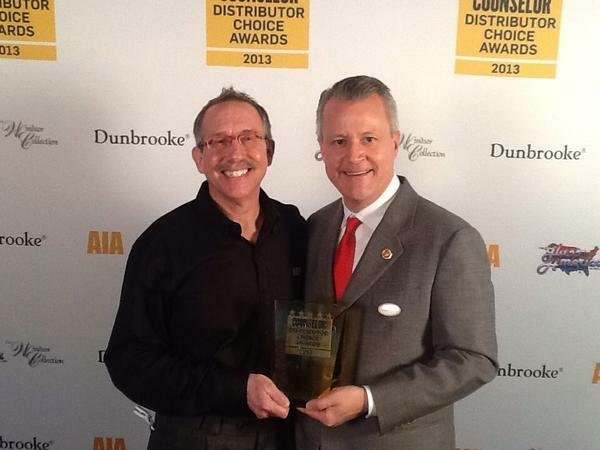 Steve Weinstein, President of EMT (left) with Tim Andrews, President of ASI.